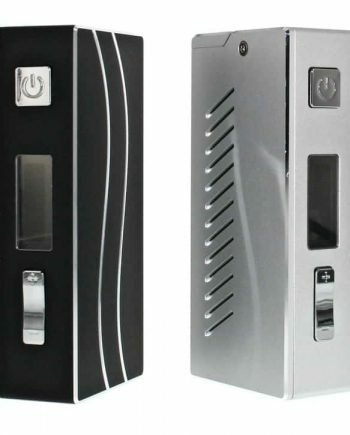 The Sigelei Touch 150 (T150) Box Mod can easily be considered the “smartphone” of the vaping world. With the industry’s first colour touch screen, the T150 has certainly garnered lots of attention for its retro slash futuristic looks, but putting it through its paces, it also proves to be a workhorse possessing both brains and braun. With a uniquely-shaped body, made from an extremely lightweight aluminum alloy, the design feels solid and ergonomically-correct in hand. 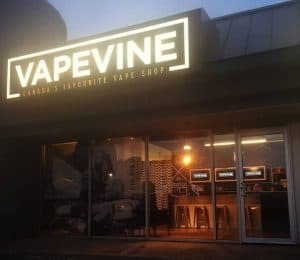 The fit and finish is also quintessential Sigelei – sturdy as an oak tree – and the all-important fire button is super clicky and substantial. 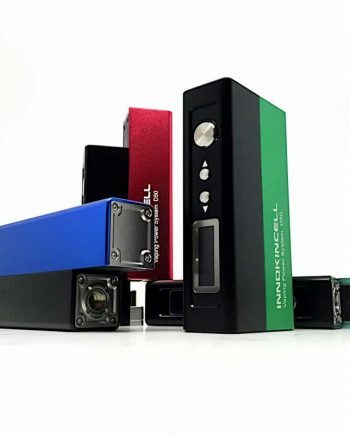 Equipped with temperature control as well as standard wattage mode, this 150 watt device is advanced enough to handle any atomizer you prefer. But the real pièce de résistance is the Sigelei T150’s massive touch display screen, which is not only user-friendly but super-informative. A simple glance will tell you the current time, ohms reading, fire/draw time, voltage, and puff counts. The touch screen also features a lock mode that will prevent you from unintended alterations to any settings. 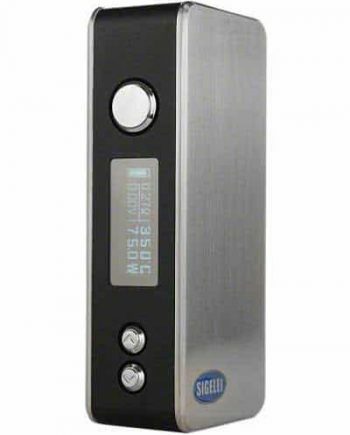 Powered by dual 18650 batteries that are housed tightly behind a magnetized battery cover, the Sigelei T150 has all the power you need to perform; and with built-in safety features such as Reverse Battery Protection, Overheating Prevention, Input High Voltage Warning, Low Voltage Protection and Output Short-Circuit Protection, this brilliant regulated mod is always thinking even when you’re not. 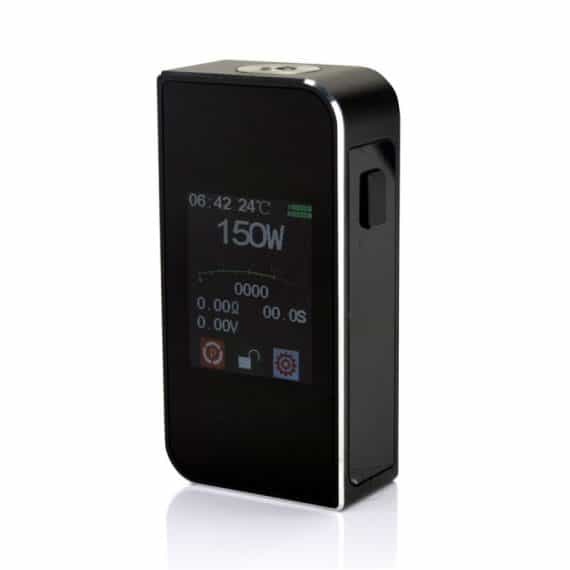 1x – Sigelei T150 Touch Screen device.